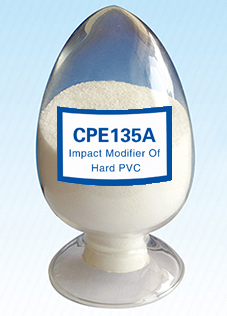 This product has fine unified physical function such as fine tenacity at low-temperature, high tensile strength and fine consistency coherency with PVC . In the right conditions,it can form three dimensional netted structure inside hard PVC products. So it has fine shock-resistance(shock strength). This product is suitable in window PVC special-shaped material, upper &lower water pipe , box pipe of wire, PVC foam plate, PVC extruding plate and PVC press plate, etc.